Since the old thread got locked due to someone's ethical posts, and since I'm responsible for it (sorry about that) I'll start the "continuation" of the previous thread. I posted the link above btw. Don't worry, I won't post anything that might lead to this thread being locked anymore even if that moron posts again. 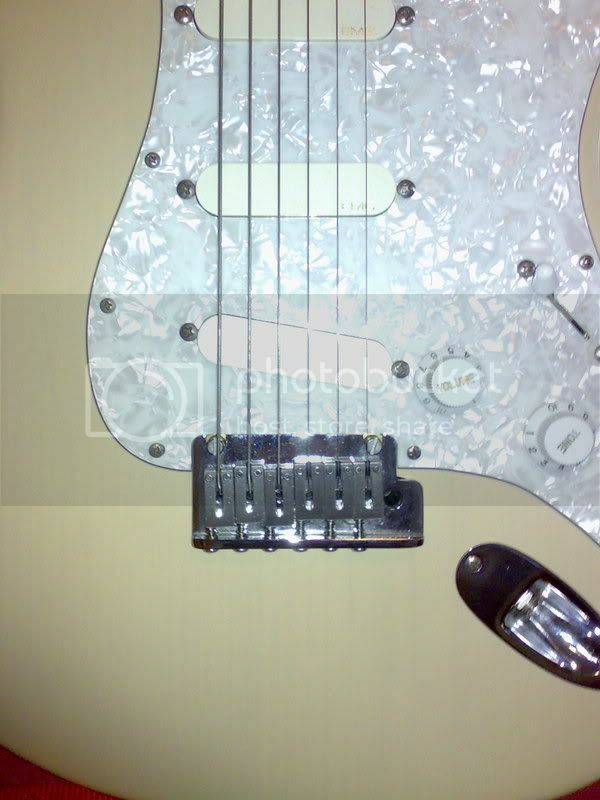 Again apologies to the strat fans in this forum for my misbehavior in the previous thread. 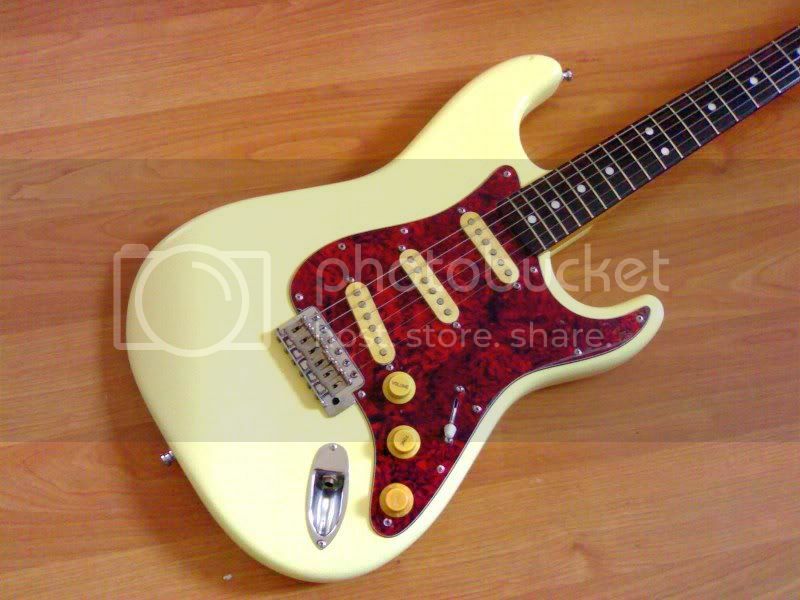 The same thing, anything about the stratocaster(probably the most popular and widely used guitar type in the whole world) can be posted here. why I love the stratocaster? David Gilmour and Eric Johnson showed me a lot of reasons why. it's a harder beast to tame than a Gibson Les Paul, because a strat has a longer scale than an LP...the extra tension makes you fight the strings a little harder, coaxing a heavier attack on the strings. you can't deny their influence on modern guitar playing....and they(we) have Leo Fender to thank. The almighty strat. Man, I love its distinct twangy sound. 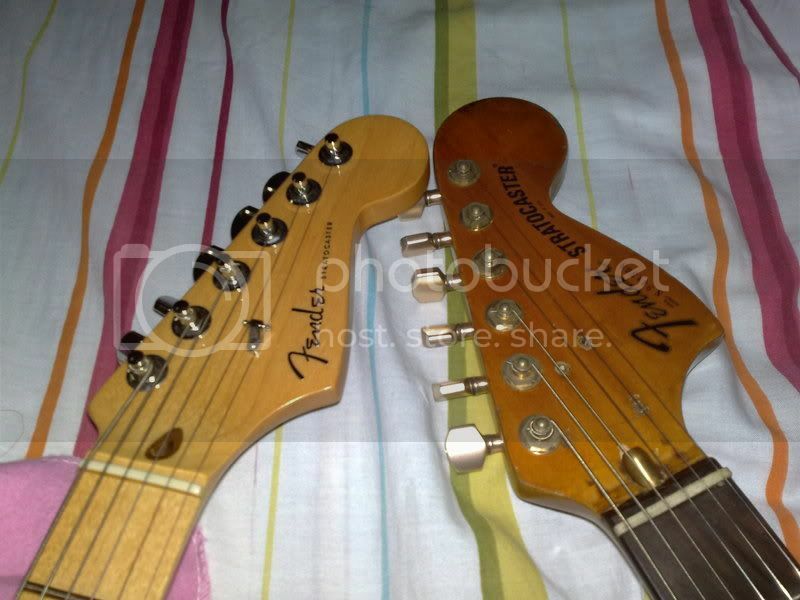 How does a strat compared to a PRS? hehe try eric clapton vs billy martin or jimi hendrix vs mark tremonti. medyo iba sila bro, well depende what PRS exactly? oh 'the stratocaster'.. oh the bliss..
....the PRS is a different thread. 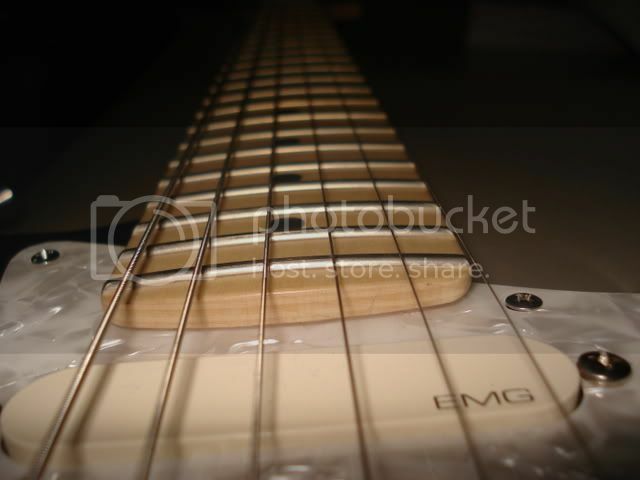 The stratocaster. The first time I saw a red one on TV, I knew I was in love. 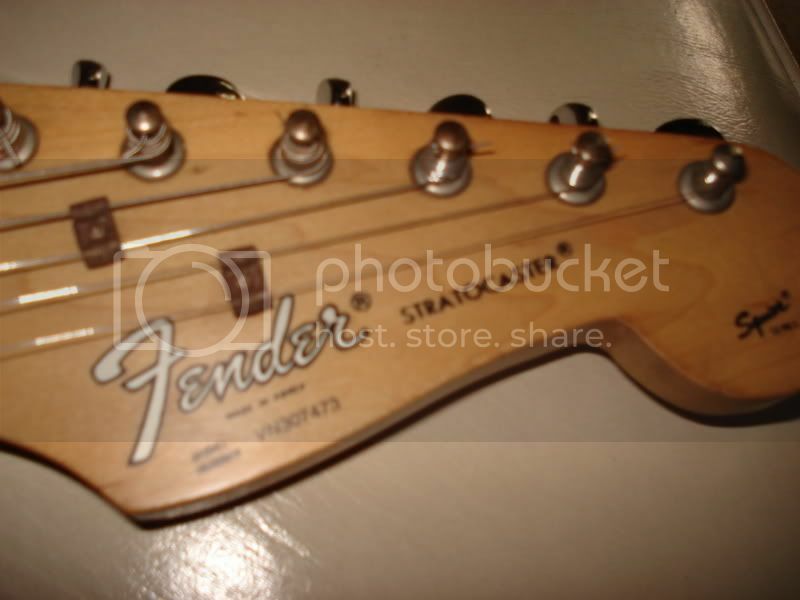 Neck pickup tone pa lang, ulam na. Cacophony -- Why even compare a strat to any PRS? Completely different animals. i also think its not fair to compare the strat to a PRS or an LP or even a tele for that matter. guitars are generally built for a purpose and cater to a specific sound and a specific player. to each his own, ika nga..
yes! i agree with all of you! but, IMHO, you still have to bring back up guitar. well not exactly back up. preferably wth humbuckers. especially when your playing diff. genres in one night, session etc. mali. the PRS is a different guitar. exactly! 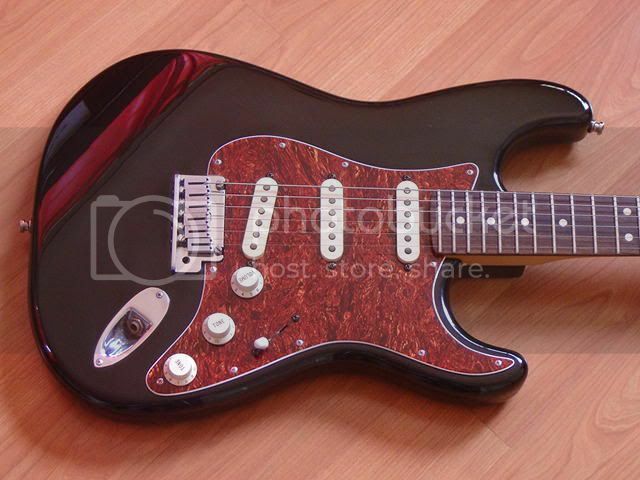 thats why im thinking, actually gassing for a SUHR micheal landau strat! 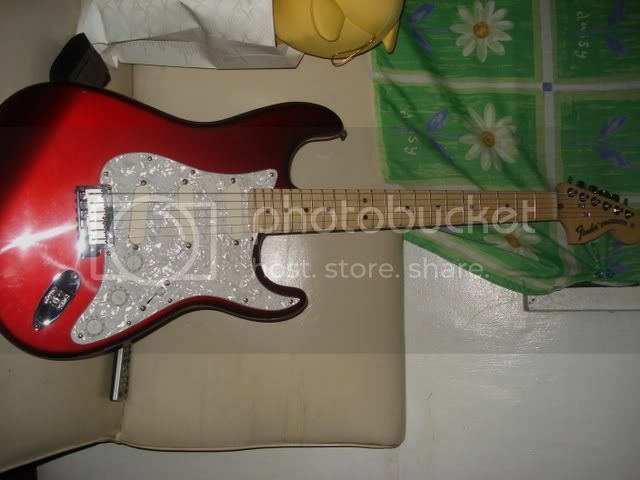 I thought my Suhr tele will be my main axe... Then the CS 56 came... yun.. di ko na pinapansin si Suhr. badtrip. Iba pa rin ang strat! Wait till you stumble upon a Suhr Strat... Bwahahaha! chief, is the springy sound a '57 RI? ang ganda eh. 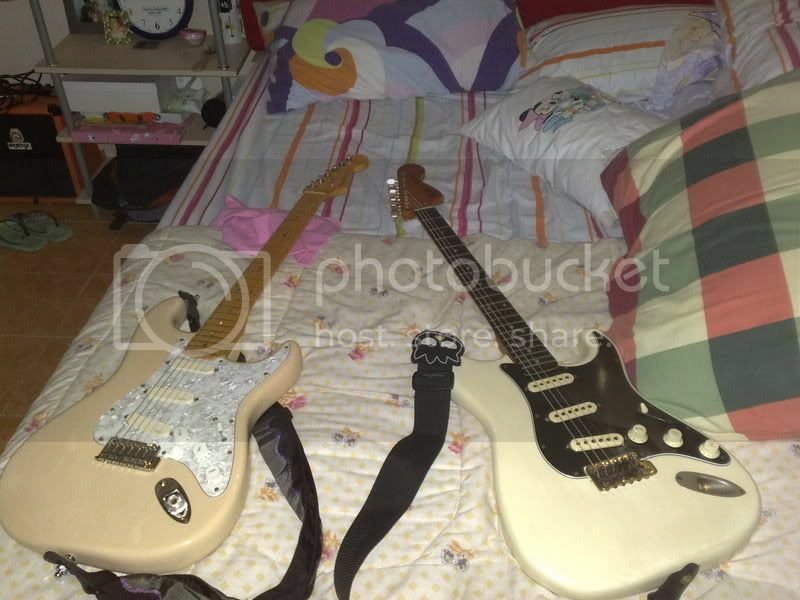 Here are the four stratocasters that have come and gone, isa na lang natira hehe. 1. 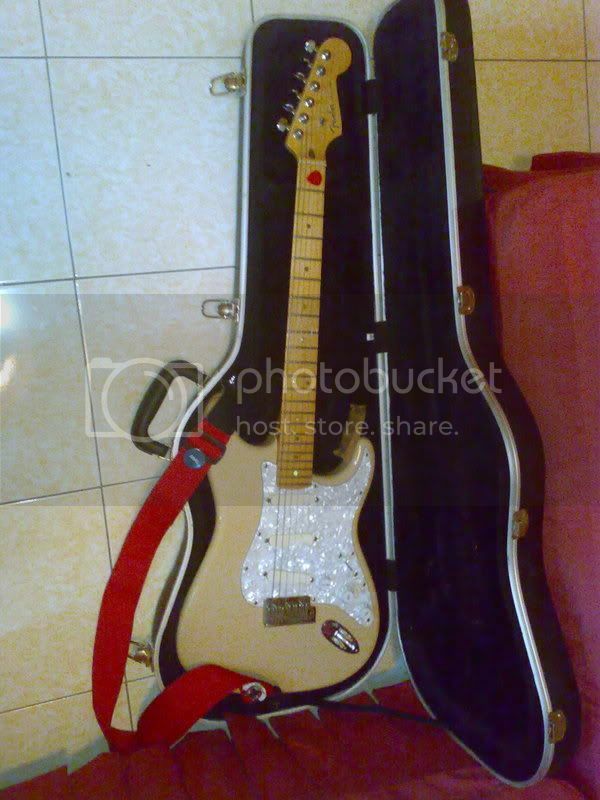 )Fender Squier Series Stratocaster MIK, my first strat ever. 3. 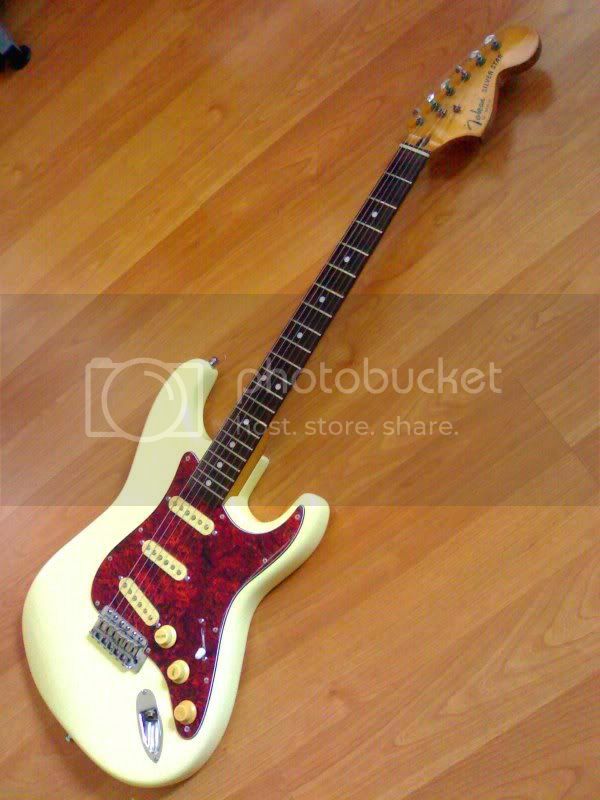 )1979 Fender Stratocaster MIA, this sounded great, but it just wasn't playable for me, the body's too heavy! 4. 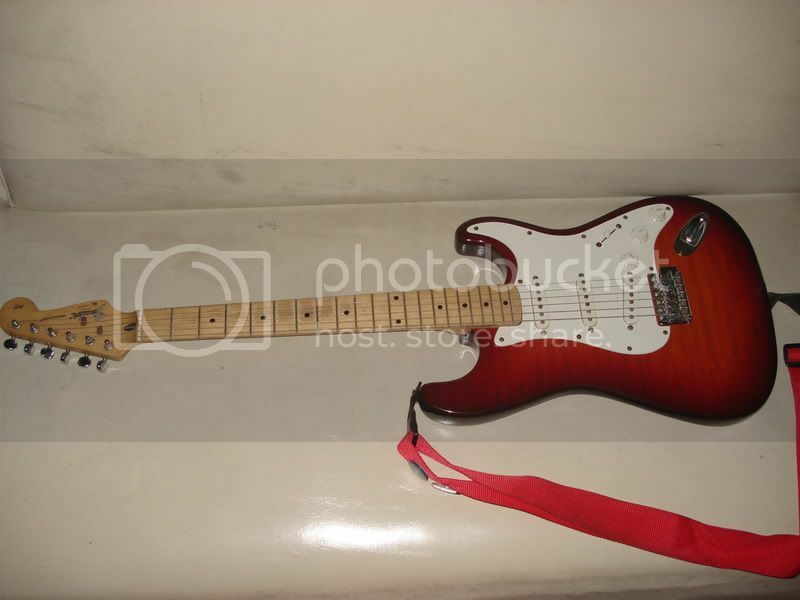 )And last but not least, probably the best strat I have owned and tried, my 2006 Fender American Deluxe V-Neck Stratocaster w/EMGDG20 and graphtech nut/saddles. This is the one I decided to keep and never let go. It will age with me haha. 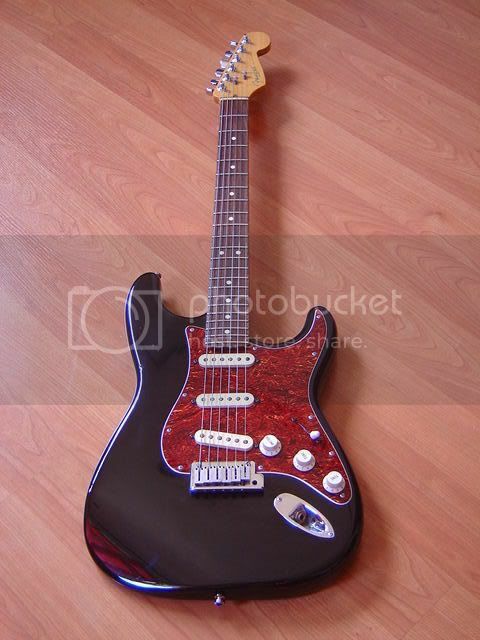 as far as I can remember I had a Squier Standard Strat too, but it only stayed with me for two weeks or less. 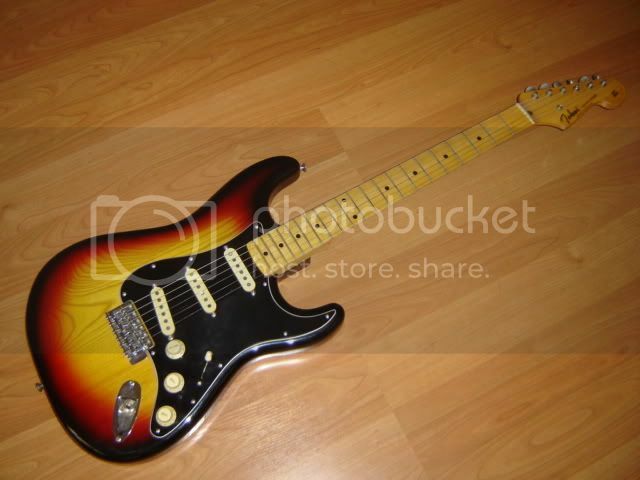 I used to hate stratocasters, up until I bought my first strat from mr. pentatonic. 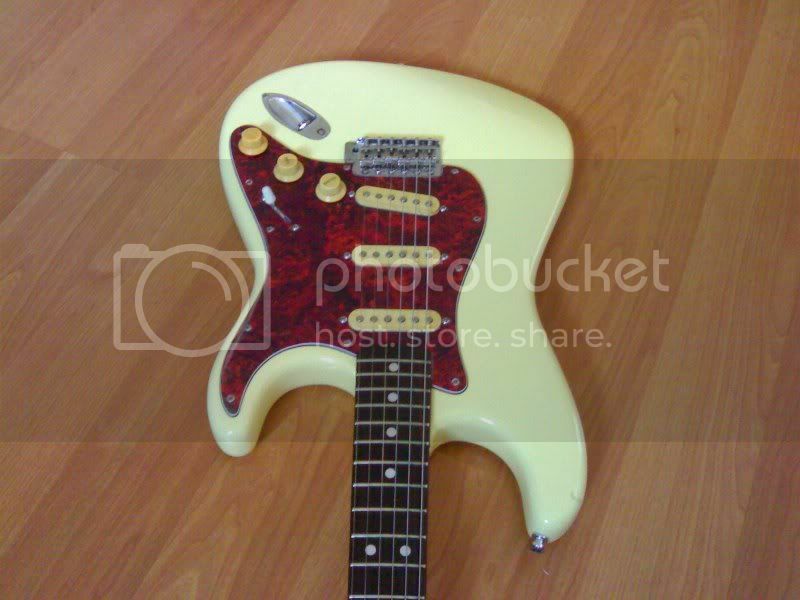 A white fender MIJ standard with a maple neck and 22 frets. 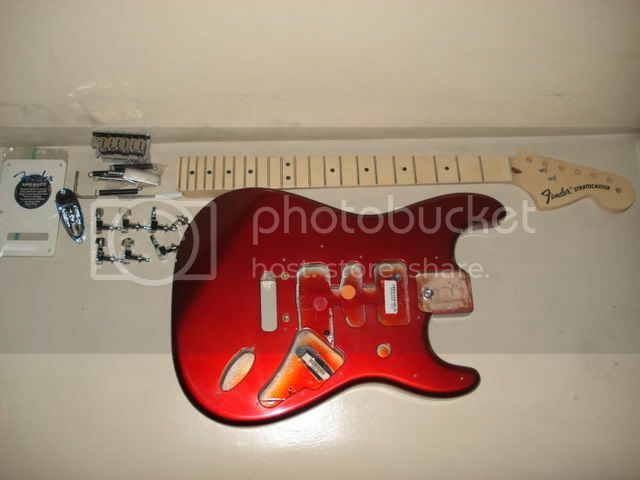 Sold it to Leech so I could buy another with a rosewood neck. I think she's still with him. I have 3 guitars, a tele, an SG and a strat, the strat I always, always play at home, but I seldom bring it on gigs. My SG and tele are for gigs. But my most memorable and best sounding gig was when I used my strat. 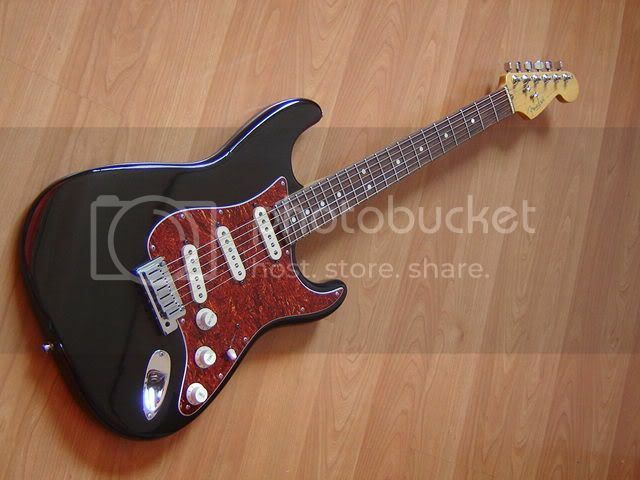 Hehe still dreaming of owning either a Fender CS '57 RI to my specs, a Tom Anderson or a Suhr. 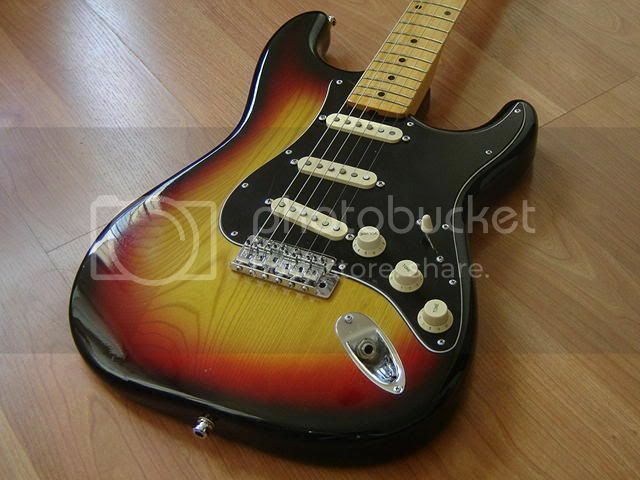 Nothing beats a strat. Well that's for me. I love the strat cause it's so flexible. Naalala ko nung 15 ako binilhan ako ng mom ko ng strat. Tapos nung naging serious na ko sa guitar I was wishing na sana Ibanez RG nalang binili niya sakin... but later on I realized... Grabe buti nalang strat binigay sakin. 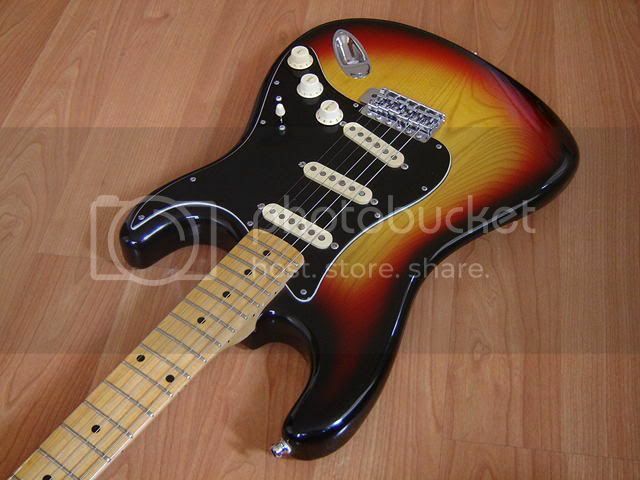 Although ang ganda rin talaga ng Ibanez RG, a strat is a classic. Mismong guitara. Kung babae siya coboy na babae na kahit saan pwede mong dalhin at sobrang sarap kausapin. Hahaha. Bad Behavior has blocked 70300 access attempts in the last 7 days.